The surrogate mother has a critical role with the highest level of responsibility before and during her pregnancy with your baby. At every step of the way, we ensure all surrogate mothers have the best possible conditions to achieve a successful birth of a healthy baby. Part of this commitment involves regular psychological counseling, guidance, and medical care. For parents-to-be seeking even greater peace of mind with reduced emotional and financial stress, we are happy to offer our Guaranteed Baby Programs. All of our programs offer high success rates that allow the majority of our parents to achieve success within their first three IVF attempts, but in the event additional attempts are needed, New Life Asia will continue the attempts for free until pregnancy is realized. These programs have been designed to offer parents-to-be a clear financial investment with assured results — a baby in their loving arms. 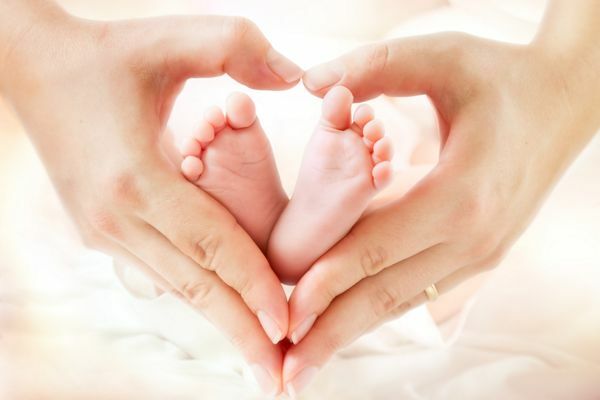 We understand choosing a fertility clinic is a major decision. As you are making this decision, we are willing to travel to your home country for a free, one-hour consultation and face-to-face meeting. At New Life, we always offer the highest level of respect and care for our parents-to-be, so you can anticipate: free airport pickup, translator services, nanny matching, and much more. New Life has been proud with more then 7000 Surrogacy babies. New Life Asia is a leading branch of the New Life Global, a network of fertility clinics and egg donation and surrogacy agencies that offers infertility solutions in nine different countries throughout the world. We are approved, licensed, and accredited by world medical governing institutions. Our teams have been privileged to be part of the stories of more than 7,000 couples and individuals since 2008, offering solutions they had been waiting for to start or complete their families. Each journey is unique and special, so we work diligently to make sure every person involved, receives exceptional care that makes them feel valued, comfortable, and happy. New Life Asia has become part of the stories of parents from 73 different countries, so our team is very familiar with embassy procedures for different nationalities. After the birth of your baby, our experienced After Birth Coordinator will be there to guide you until you and your baby have reached your final destination. New Life Asia has successful parents from all around the world are eager to share their amazing and smooth New Life experience with you. My name is Dr. Mariam Kukunashvili, founder of New Life Global Network. I would like to extend a personal thank you for choosing to place your trust and hope in us. I founded New Life on a platform of integrity, honesty, and openness for anyone seeking to grow their family, regardless of their background, preferences, or walk of life. At New Life Asia, we keep our doors open to everyone seeking our help because I strongly believe every couple and individual, gay or straight, deserves the same opportunity to experience the complete and utter joy of parenthood. You’ve likely struggled through infertility or seemingly impossible hurdles along your journey before coming here, but I want you to know that with New Life, you have found a place where you can set aside your worries and doubts and take the first steps towards making your dream of parenthood a reality. It is too early to give up! At New Life Asia, we promise to provide you with a safe, secure, and comfortable environment free of discrimination.